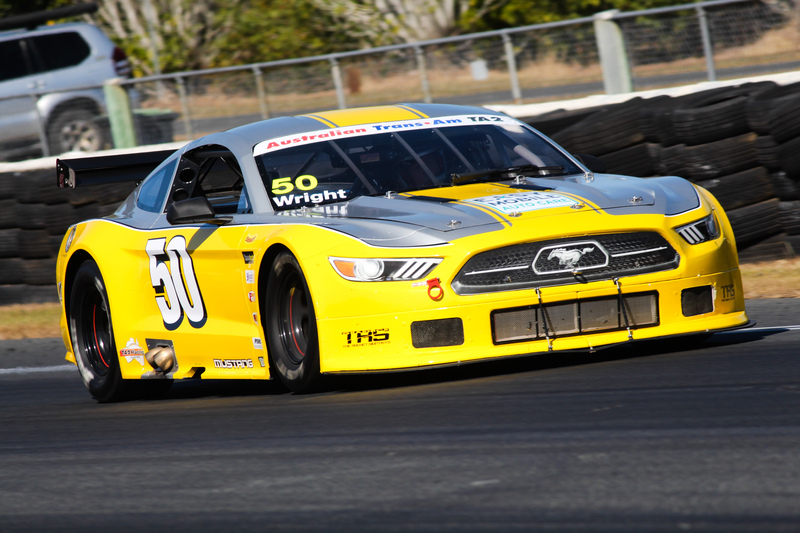 LEADING American vehicle specialist Performax International will be at the thundering heart of V8 action when the TA2 Muscle Car Series contests round four of the Performax Cup at Queensland Raceway next weekend. The Performax TA2 Muscle Car Ford Mustangs, Chev Camaros and Dodge Challengers will showcase their fast, hard and loud brand of racing at the Two Days of Thunder meeting at the Ipswich track. A full field of the 525-horsepower, American-built racers is expected, with Gold Coast racer Ashley Jarvis aiming to boost his score in the battle for the Performax Cup, which will be awarded to the winner of the seven-round series. Driving a Camaro, Jarvis won all four races in the third round at Sydney Motorsport Park, but at Queensland Raceway will face fresh competition from regulars including Russell Wright (Mustang), Hugh McAlister (Mustang) and Peter Robinson (Challenger). He'll also be up against 19-year-old, third-generation racer Aaron Seton, who'll drive TA2 regular Craig Harris's Mustang for the remainder of the season. Jarvis is looking forward to a strong run. "It's my home track and I've done many laps around there, so we'll just go back to our basic set-up and hope to be somewhere in the pointy end of the field come race day," he said. The TA2 muscle cars will contest two races on Sunday, led on to the track by Performax International's spectacular Chev Corvette C7 pace car. On 276 points, Wright leads the 2018 Performax TA2 Muscle Car Series over McAlister on 271, with Jarvis third on 264. Performax International will provide plenty of off-track interest for fans too, with a competitors' paddock display of its right-hand drive American vehicles. The line-up will include the Chevrolet Corvette C7 supercar, high-performance Ford F-150 V6 Twin-Turbo EcoBoost and the luxurious Ford F-250 workhorse. Members of the Corvettes Down-Under Car Club will attend to support the Performax Cup, participating in a Show-and-Shine event on Sunday and doing cruise laps of the Queensland Raceway circuit during the lunchtime break.